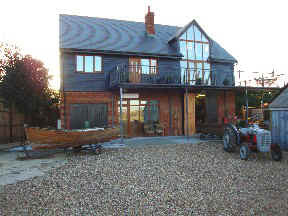 Beacon Boatyard in Wickhams Creek is a a secure and peaceful place to keep your boat positioned beside Baty's Marsh the local nature reserve and is a short walk in to historic Rochester. The boatyard has a gated access which is locked outside of office hours accessible only by berth and key holders, the site is also monitored by CCTV cameras. We have toilet and shower facilities which are accessible 24 hour a day. We have pontoon mooring available for boat lengths up to 15.2m (50ft) in length. 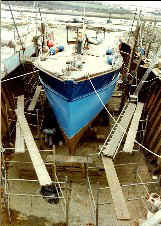 Within the creek, all our mooring are drying berths. We have half tidal berths which are accessible to water normally 3 hours either side of the tide depending on tide highs and the draft of your vessel. Our mud berths have access to water normally 1-11/2 hours either side of the tide. All mooring have access to metered electricity and water. for more information about moorings please contact us. Hard standing for your vessel is available all year round at Beacon Boatyard, and we also offer storage for trailers and dinghies. 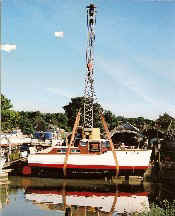 We have the facility to lift out and launch vessels up to 7 tonnes with the cranes which we have on site, vessels that weigh over 7 tonnes can use the dry dock if your boat needs to be out of the water for a short period of time, or alternatively we hire in cranes that can lift heavier vessel which require hard standing or launching. Our dry-dock has the ability to accommodate vessels up to 15.2m (50ft) in length with a maximum beam of 4.3m (14ft) and draft 1.5m (5ft). This is an ideal option for larger and heavier vessels that can not be recovered using the boatyards lifting equipment and when short term maintenance is required. 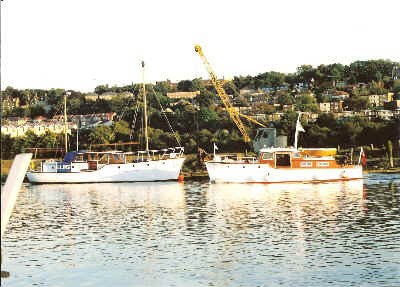 We are specialists in the restoration of classic motor and sailing yachts, with over 30 years experience in this field, we are one of the only boatyard on the Medway with expertise in this area.